April Fools’ Day is the one day a year where businesses can play pranks on their customers in the name of good humour and fun. It’s a great opportunity for brands to engage with their audiences and show off the personality of the company. Plus, it doesn’t just have to involve a company playing a prank on its customers. The tables could easily turn and your customers can have just as much fun playing practical jokes on you – but more on that later! 1 What is April Fools’ Day? Because there are so many different ways to prank someone (you’re really just limited by your imagination and societal norms), April Fools’ Day is open to all businesses. Any company of any size and in any industry can take part. In fact, the darkest gag in recent years has come courtesy of Beyond in 2017. 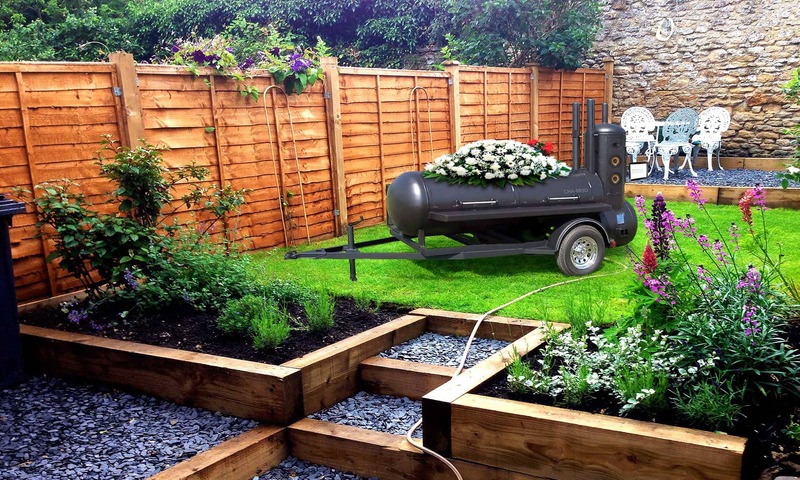 It launched the Home Cremation service, which offered an ‘ash back guarantee’ and several diffuser options to scent and colour the smoke plumes. April Fools’ Day is an annual celebration which originated in the West but has spread globally (much to the chagrin of the Chinese Government). It takes place on the 1st April, and has various names across the globe. In Scotland, an April Fool is known as a “gowk” – a type of cuckoo. In France, they are called an April fish. In (aforementioned) China, the event is called the Foolish Man Festival. But they all have a common theme: playing jokes on unsuspecting individuals until noon that day. Superstition states that bad luck will come on any joke-makers after that time. The origins of April Fools’ are a little less obvious. It is a mystery how the day came to be associated with pranking. One theory suggests that the Julian calendar (a system previously used in the Western world) began on March 25th. New Year celebrations occurred on April 1st because March 25th fell during a holy week. When the Gregorian calendar (our current one) was adopted in the 1500s, New Year’s Day moved to January 1st. Those who could be tricked into still believing that it was on April 1st were called April fools. But that is only one theory. Others include the idea that it’s linked to the Vernal Equinox (when the sun is directly about the equator and day and night are the same length), the arrival of Spring or the Roman’s end-of-winter celebration Hilaria. Over the years, many companies have gotten involved in the April Fools’ Day fun. Pranks have ranged from physically changing a product or packaging, to spoof announcements and social media gags. There is great potential to inject a breath of fresh air into your day-to-day marketing efforts. As it has become synonymous with practical jokes, many customers will expect outlandish claims to be April Fools’ pranks. However, the best jokes are the ones that make people second-guess themselves and debate it with others. An April Fools’ prank can make an excellent conversation starter and a unique way to increase brand awareness. Plus, it’ll help build engagement and loyalty with existing customers. There are options to suit every budget and business. Here are some ideas and tips to get you started. Any joke will fall flat if it doesn’t resonate with the audience. Before you brainstorm prank ideas, consider who you’re aiming the joke at. Understanding the behaviour, drives and needs of your audience can help you come up with pranks too. If you’re a local company, consider local landmarks, news or characteristics that you can incorporate into your prank. For example, a Brighton-based builder could announce that they’re replacing all the sand on Brighton beach with building sand, under a new sponsorship deal. If you’re in a niche industry, there’ll be plenty of ‘in’ jokes that you can pull. Digital agency MullenLowe Profero launched a ‘Creativity Helmet’ to “take the subjectivity out of creativity”. The tool measured temperature, pulse rate and brain activity to create more innovative marketing campaigns. Alternatively, you could target a new niche audience as part of your prank. A dentist’s surgery could suddenly offer reflexology as an add-on package. A coffee chain could advertise special mugs created for left-handed people. A teenage clothing store could launch a new ‘granny line’ – created especially so grannies and their grandkids can match. This ties in closely with knowing your audience. Target the marketing channels that your audience are already engaging with, as this will give your prank the best chance of being noticed. Social media is a popular choice for brands with younger audiences, or making a press announcement may generate some coverage for your business. You could even do something in-store, if appropriate, such as a limited edition joke dish on the menu. April Fools’ Day can be a good excuse for some cross-departmental teamwork. A regular office prankster will be an asset to your cause, so enlist them for ideas. Your marketers should be involved to help create buzz around the prank, along with PR and internal communications if you have them. Finally, to cover your back, consider oversight from your legal department. Your senior leadership and CEO should also be on-board. Remember, this isn’t all about fun-and-games. April Fools’ Day marketing can be subtle, but it still needs to drive brand recognition or sales. Tie in your product, service and unique selling points into your prank. Amazon returned to its bookseller routes with a prank offering authors for sale to customers. Or you could invoke some friendly rivalry with parent companies, partners, suppliers or other influencers in the industry (with their permission and buy-in). 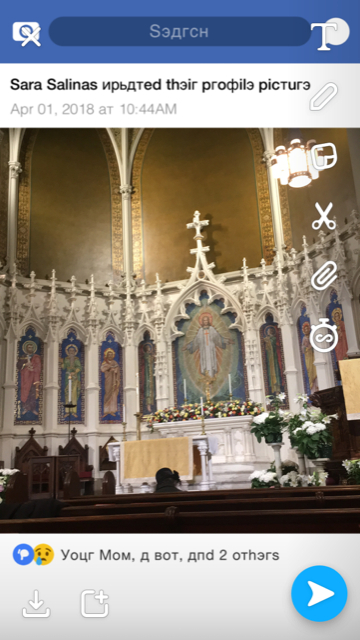 Snapchat took a friendly jab at Facebook with a Cyrillic text filter, referencing the social media company’s Russian interference issues. While you want your prank to tie into your brand, you don’t want to make the gag too obvious. Think about jokes that relate to your business and target audience, but are a little unusual. 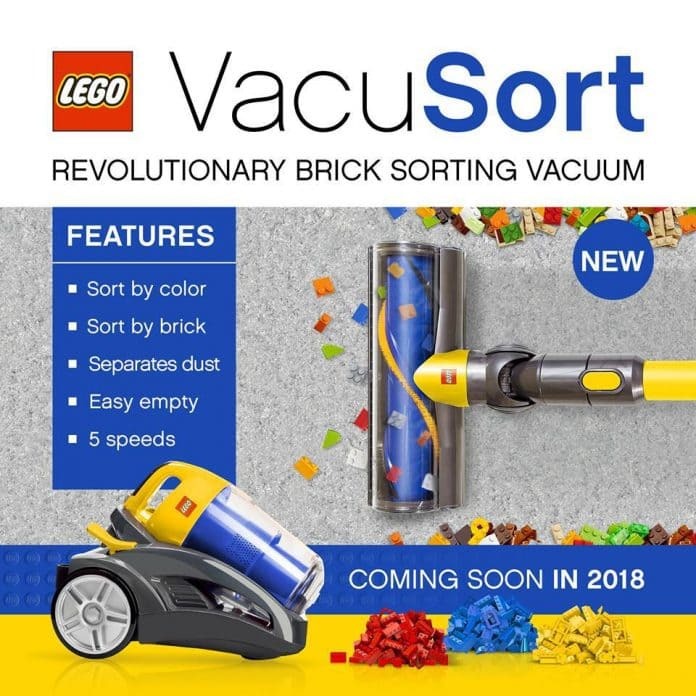 A good example is Lego’s VacuSort, that was in a completely new market for the company but that fixes a common problem for Lego owners. By coming up with the prank, Lego showed that it was on-the-ball with its customers’ lives and problems (namely, the painful issue of stepping on Lego bricks!). Another way to engage with your audience and take your joke to the next level is to tie it into popular culture and news. Do your customers mention something time and time again? Does your company have a certain reputation for being exceptionally reliable, boring or having an eccentric CEO? Elon Musk played a prank on his Twitter followers by posting a fake announcement of Tesla’s bankruptcy – despite a last ditch sale of Easter Eggs. This was likely a reference to the popular ‘Easter Egg’ hidden content found in some code (and movies). By doing so, Musk capitalised on his large Twitter following and his reputation for out-there Tweeting. You don’t always have to reinvent the wheel with your marketing, but you can reinvent a few of your products for April Fools! Small or huge versions of a product can work well, especially in a restaurant or bar. Burger King once offered single fries as a marketing prank. Or you could take your industry (and company) back a decade or two. This is particularly funny in industries known for their innovation. Finally, you could play on an over-hyped popular trend (such as rainbows, unicorns and mermaids). Starbucks used social media influencers to post a new #RainbowDrink to their feeds on April Fools’ Day. Although the drink was eventually outed as a prank, it caused enough of a frenzy that the coffee company eventually added a variant of it to the menu. This one is key to your prank’s success. Once you have an idea, work out the budget needed to implement and market it. In fact, it should have its own marketing campaign detailing how the prank will be shared and what channels will be used. Social media is a good option for many businesses, but pranks can quickly be lost in the masses of April Fools’ Day postings. To supplement it, you can use email marketing, online advertisements and even set up a spoof website or landing page. If your prank involves launching a new product or service, think about how you would go about this normally. Customer testimonials and product descriptions will be essential, along with graphics and images illustrating the new offering. Press releases will (hopefully) grab your prank a few headlines. Don’t underestimate the time and resources needed to pull a prank off. Make sure you’ve given yourself enough bandwidth to get it done – because nobody likes a half-hearted joke. The best jokes know when to stop. April Fools’ Day is about having fun and good-natured humour. Taking a joke too far and offending people will ultimately damage your brand and undo any work you’ve done to build customer loyalty. When developing your prank, test the idea with a few other people in your target market (perhaps regular customers or a focus group) to ensure it hits the right notes. Avoid anything that might be in bad taste and never reference any incendiary topics or news stories. If you operate globally, be aware of differing opinions and tastes in different markets. Something that goes down well in the U.S. may be offensive in Asia or vice versa. Don’t give away the goods too early – that means that you shouldn’t let on that something is a joke. To take advantage of the day, you need to fool people for as long as possible. A prank isn’t as funny when someone knows that it’s a hoax. 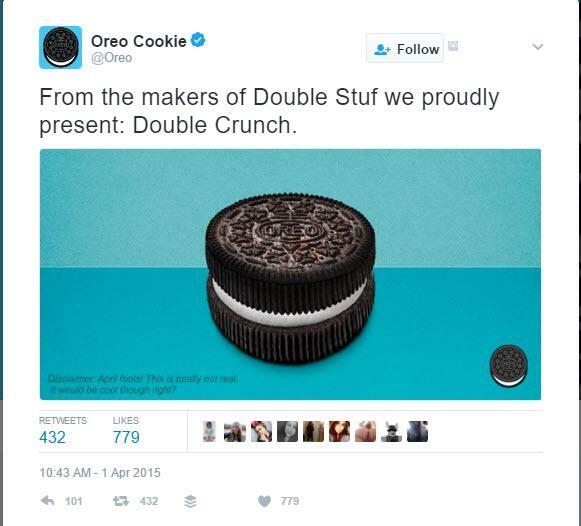 Oreo’s Double Crunch would’ve been a great gag if the company hadn’t immediately disclaimed that it was an April Fools’ Day prank on the imagery. Encourage your customers to get in on the fun too. Run a competition for the funniest prank using one of your products or in one of your stores. Have people share pranks on social media using a specific hashtag or tagging your account in the posts, so that you can share the best ones. A clothing retailer could offer a prize to the customers who create the funniest outfit using just the clothes bought from their store, for example. A pub could run a competition for the funniest, ugliest or most disgusting cocktail created. An email marketing service could offer discounts to the customers who use its product to create spoof April Fools’ emails. Be wary of releasing any real products or services close to April Fools’ Day as the move may backfire. If you launch on the day itself, then it will be overshadowed by all the spoof announcements made. Also avoid March 31st, especially if you are sending out a press release as many journalists may assume your launch is a prank. Amazon unveiled its Dash button on March 31st with many believing that the product wasn’t real. Unfortunately for the company, and despite reassurances that the buttons weren’t a gag, the Dash buttons never really took off. The tech giant is now killing off the product. Don’t forget to include your employees in the fun. Playing some pranks internally can make for great watercooler chat. Pranks can be as simple as putting googly eyes on all the items in the office fridge, to whoopee cushions under all the chairs. Your CEO could introduce a new (hideous) company mascot or a department could be temporarily renamed. You could also announce a ridiculous new company rule, such as ‘no frills Friday’ where all work has to be done without technology and using only a pen and paper. Silly job vacancies are another fun prank that can attract eyeballs internally and externally. Something that’s especially relevant if you’re on a recruiting drive. 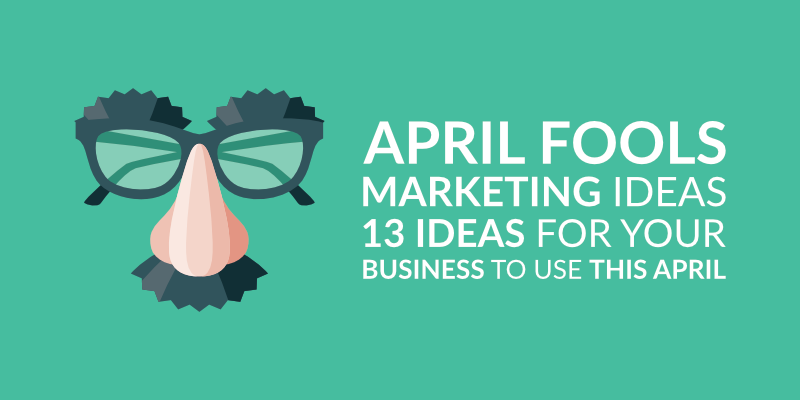 Because there’s an April Fool’s prank for everyone, it can be a relatively simple and inexpensive way to boost awareness and engagement with your brand. So, it’s worth experimenting and having some fun with the event. However, a good April Fools’ Day joke takes weeks of planning and preparation. It’s worth starting early with your plans to ensure everything goes off without a hitch. Otherwise, the joke will be on you – and nobody wants to be the punchline.